The account of the fig tree that Yeshua cursed (Matt 21:18-22, Mark 11:12-14) provides many lessons such as the power we have through Yeshua over our environment or the power of faith and trust. It also shows that we must bear good fruit. Since humans are sometimes referred to as trees in Scripture (Ps 1:3 52:8; Is 44:4) this fig tree may very well represent what can happen to us. We usually do not think of a fig tree as having free will, yet because this fig tree did not perform in compliance with the way it was created, Yeshua cursed it. The fig tree withered and died. Whatever was wrong with the fig tree seems to have been happening “behind the scenes”. The tree was able to produce leaves to provide for its own sustenance, but it did not produce fruit for the sustenance of others. 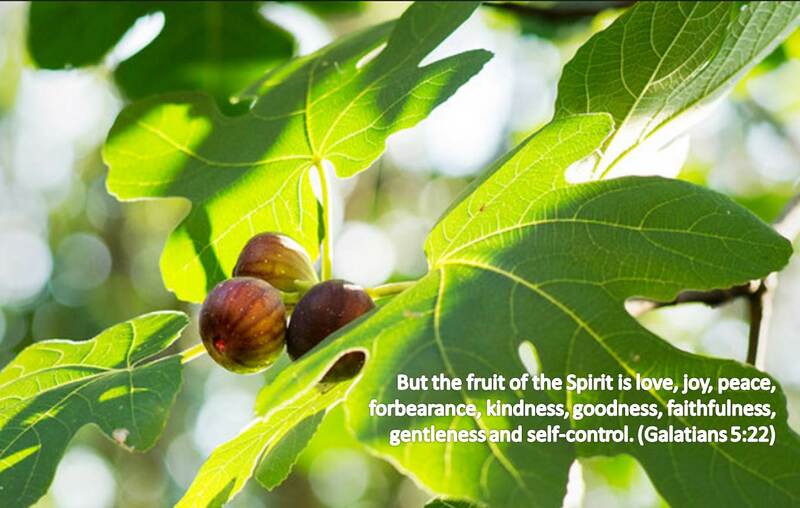 The fig tree had been provided with all that it needed in its creation to produce the expected fruit. It failed in its assigned task. What lessons does this story hold for us? Yeshua has equipped us mightily so that we might bear good fruit. He has provided a way for us to reconcile with our Creator (Rom 5:10) so that we might learn wisdom (1 Cor 1: 28-31) from Him and have His protection (2 Thess 3:3). Yeshua Himself became our perfect example of how to produce excellent fruit (Luke 6:40). Before He returned to His Father, Yeshua further equipped us with the Holy Spirit so that we might bear the fruit of His Spirit (John 14:26). The Holy Spirit guides and equips us with spiritual gifts for the purpose of making us fruitful. In addition to being our Comforter and personal Guide, the Holy Spirit works within our hearts and minds, refashioning us so that we might produce optimum fruit. It is our responsibility to yield ourselves to the work of the Spirit and to cooperate with Him. It is easy to let things slide and to drift along thinking everything is alright. On the outside, we may appear to be doing fine, but inside we may be in trouble. The failure of trees to produce fruit may stem from one or more pests such as borers or fungi or a variety of diseases. The more one knows how a healthy tree is supposed to function and how to identify the culprit(s), the better the chances for correctly addressing the problem. It Is important to determine exactly what is causing the problem, so that the correct remedy may be applied. The same is true for us. It is our responsibility to understand how we are expected to function and how to identify the culprit(s) that are eating away at our growth and effectiveness. It is also important for us to be on the lookout for any evil or weakness that may be hindering us. In order to cooperate with the Holy Spirit, we must understand the spiritual realm. We are not as familiar with this realm as with the physical realm, so it takes more effort (Gal 3:1-3) to operate in the spirit realm. This is perhaps one of our biggest battles. If we are not paying attention, spiritual diseases and pests may begin to eat away at us from the inside. We may not notice it until it is too late, until we are withering up and dying. We must make sure that it is the Holy Spirit who works in us and not the enemy. Let us be vigilant, so that when our Master approaches us expecting good fruit, He may delight in our yield.